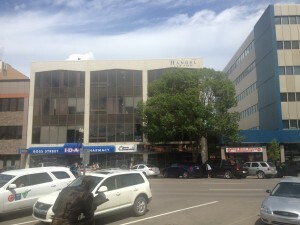 Personal Injury Lawyers - Red Deer - Handel Law Firm - Brent Handel Q.C. Our Red Deer personal injury law office can assist you with the burden of dealing with auto insurance companies when you have been injured or lost a loved one in an accident and are unable to cope. We are here to help. If you are in Central Alberta or the City of Red Deer, Call 403-314-1199 for expert assistance with your personal injury or fatal accident claim. In Alberta, 18,000 people are injured in automobiles every year and sadly over 300 people are killed in automobile collisions every year. In order to ensure that you receive fair compensation, you must have someone on your side who’s acting solely in your interests and not in the interests of the auto insurance company claims business, who has a conflict of interest when it comes to dealing with you. When you are injured you’re dealing with the pain and emotional turmoil in addition to all the medical tests and appointments and insurance claims and investigators. We are here to assist you and to take the legal and insurance claim burden off your hands so that you can focus on your medical recovery. The serious accident & personal injury lawyer’s at Red Deer’s Handel Law Firm will take care of the legal and insurance claim aspects of your case. Call us now at 403-314-1199 for a free initial consultation about whether your case justifies hiring a personal injury lawyer to proceed further. There is no obligation for calling. Indeed, even if we accept your case, we take cases on a contingency fee agreement which means there is no fee unless we recover and there is no fee payable by you until the end of the case – at which time the fee is a percentage of the actual settlement. So it is risk-free for you. If there is not a settlement at the end of the day, then you do not owe our firm a legal fee. If you have suffered paralysis in a motor-vehicle accident the future treatment costs that you will require are extensive, and you require expert legal advice from a firm with experience in this area. Contact a professional, experienced personal injury lawyer at Handel Law Firm to assist you with your claim. If you have a lawyer in Red Deer you use for other matters, ask him or her about Brent Handel Q.C., you will likely be told Brent Handel has been one of the top personal injury lawyers in Red Deer for many years. If your family has suffered the loss of a loved one or suffered a catastrophic injury because of someone else’s negligence or carelessness, talk to us. We can help. Brent Handel Q.C. will personally meet with you to answer any questions or concerns so that you can make an informed decision whether or not to proceed with a claim. There is no obligation after talking with us as the initial consultation is free.